Just in case it helps someone, I had some violent jerking on gear changes a few months back and decided to do a few dump and fills of the auto-box. As I needed the car sorted quickly, I went into my local Toyota Main Dealer and they had the T-IV on the shelf @ £64 for 5 litres - (Expensive yes but if your desperate to get the car sorted it may be a worthwhile option). No but a new crankshaft position sensor did ! Worth a watch if you are contemplating oils for your gearbox. ^^^ Roads? Where we're going we don't need roads... Go beyond ! Smith & Allan have been around since 1925 and are a Shell oil distributor. Finally got around to doing a dump and fill- wow what a difference it’s made! 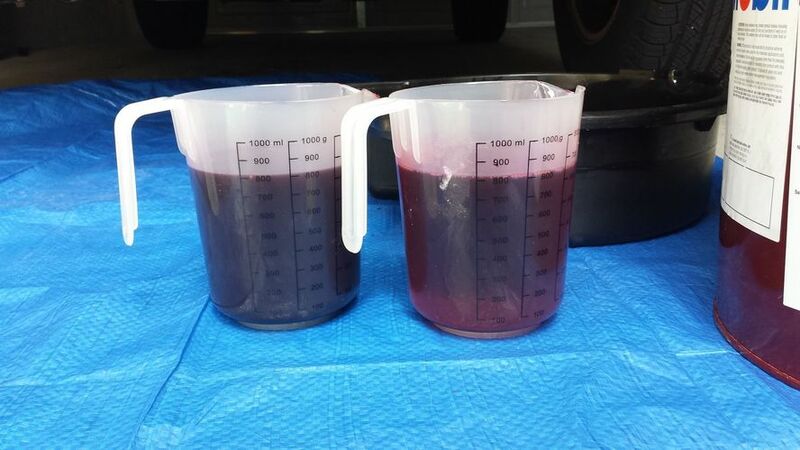 The fluid that came out was black; I’m positive it’s never been done before on my 2007 because it took two extension bars and a breaker bar to get the filler cap off. Initially I thought it was wishful thinking when I took it for a drive afterwards but gear changes are almost imperceptible now. When in manual mode I had to check the dashboard to see if it actually changed gear! It wasn’t horrendous beforehand but you’d certainly notice the gear changes. Would never have thought just 3L of new fluid could make such a difference. Well worth the effort, thanks everyone. Could be boxes for gasoline different than the ones for diesel? Hi Alex, I'm too using simple drain and fill method. I've been doing it for the last 4 years and I always get around 3.8L out (plus or minus 0.01L). I bought the vehicle when it was 12 months old and soon after that had the gearbox replaced under warranty. 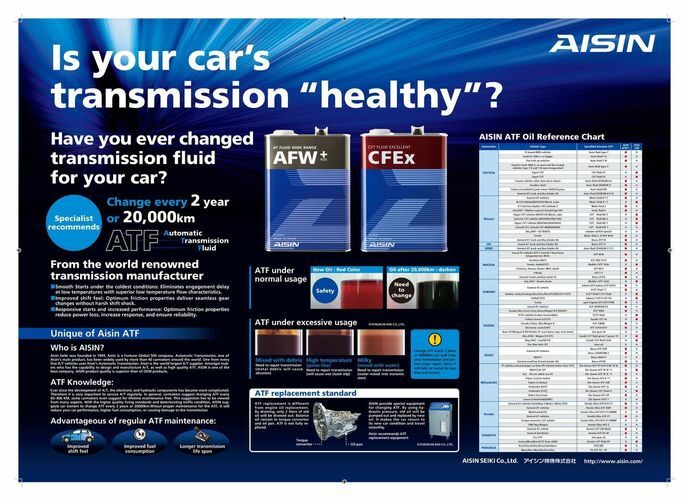 From that point forward I've always changed transmission fluid every 10,000km. So when I did my first change (and I keep records) 3.88L drained. So you put back the same amount you drain, right? In this way, if initially was slightly overfilled, it's understandable. Especially if you do it when cold (next day, as you say). But did you take it for a spin and when box's oil is at about 60 degrees C, unscrew the level plug (center one) to see if some oil drips? Roads? Where we're going we don't need roads... Go beyond ! Why did they choose 60C ? Ive used my OBD2 Torque Pro to monitor both coolant temp and ATF temp from a cold start up. They rise fairly rapidly over a few miles, in unison to 80c, This means to my mind that you cant assume its at the correct temp to assess the ATF level by just going out and driving for a few miles, you need to measure the ATF temp. But did you take it for a spin and when box's oil is at about 60 degrees C, unscrew the level plug (center one) to see if some oil drips? Yes, the same amount went back in. I did try getting the transmission to 60C and unscrewing the level plug but lots of AFT came gushing out, a lot more than I expected to see. So I replaced the plug, measured the amount that drained out and refilled. And have been using this method for the last 4 years.